Johnny Carino’s menu prices in a flash. Johnny Carino’s is an American based Italian food chain with more than 70 locations spread out over 30 states, and the chain is famous for its pasta as well as classic treats like the Homemade 16-Layer Lasagna, Skilletini and Johnny’s Combo. Want a quick meal for lunch? Try a Pronto Combo. Join the Email Club and be the first to know about special deals and offers. Spread the love of Italian food by giving Johnny Carino’s gift cards. Connect with Johnny Carino’s through social media. Below are the latest Johnny Carino’s menu prices. The restaurant’s headquarters is in Austin, Texas, and the idea for it came from Fired Up, Inc., which was established by Norman Abdallah and Creed Ford III in 1997 after working with Brinker International. Since the company was founded, it has remained true to its goal of providing an authentic Italian dining experience. The restaurant is best known for its Italian Classics as well as their spicy, one of a kind favorites, and each one is made from fresh ingredients. The restaurant began with Chef Carino, and today it continues with Chef Chris Pietersen and other chefs known for authentic Italian dishes. While the chain operates mainly in the United States, it is expanding overseas and currently has ten locations in the Middle East. Through the years, the restaurant has infused other elements in its menu including Traditional Margherita pizzas, Chicken Parmesan Panini sandwiches and of course, classic Italian spaghetti. 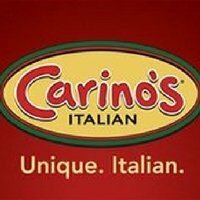 For more information about Johnny Carino’s, please visit their official website. What time is Happy Hour at Johnny Carino’s? Happy Hour at Johnny Carino’s is daily from 3:00 pm – 6:00 pm and 8:00 pm to close. What are the hours of operation of Johnny Carino’s?